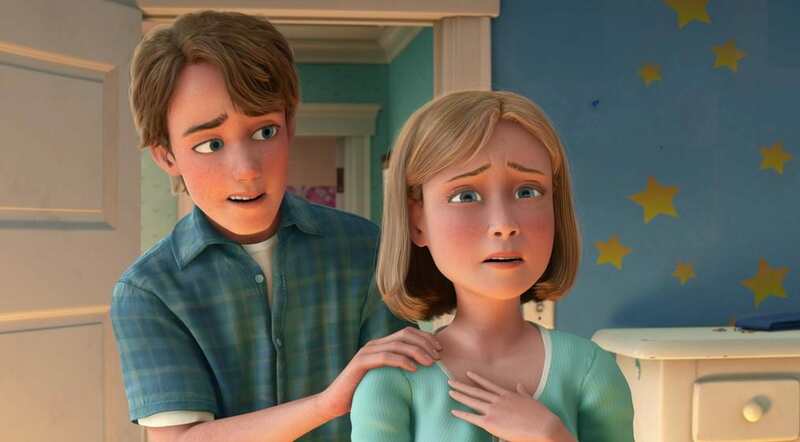 There’s a fan theory going around about the true identity of Andy’s mum in Toy Story – and it’s more important to the story than you’d think. It all starts with the first two Toy Story movies, where Andy and Woody can both seen wearing cowboy hats. And film critic and Pixar fanatic Jon Negroni thinks this is the key to working out Andy’s mum’s past. After analysing the Toy Story series, Negroni points out that Andy’s hat is not the same hat as Woody’s, but wears the same hat as Jessie (who was forgotten by her owner – remember this). Both Jessie’s hat and Andy’s hat have a white twine around the edge, whereas Woody does not. Now, Jessie’s hat has a white band around the middle, but that seems to be missing from Andy’s. Instead, there’s a faded mark where a band used to be. The theories been out for a while now, but it seems to be making a comeback. And for good reason. When Jesse is introduced in Toy Story 2, she quickly fits in with all of Andy’s toys, but not before telling her heartbreaking story of being given away by her original owner Emily, when she became too old to play with her. During flashbacks, a little girl wearing a red cowgirl hat (the same as Andy’s) is seen playing with Jesse in her room decorated with 1960’s posters, meaning her original owner would now be old enough to be a mother, according to Viral Thread. So here’s what we know for sure: We don’t know the first name of Andy’s mum, and we don’t know the last name of Emily. We know that Andy’s hat and Emily’s hat are the same, and we know that Emily is old enough to be Andy’s mom. If you haven’t figured it out by now, there’s a damn good chance Emily is Andy’s mum. Could Pixar sneak this in without being too obvious about it all? Definitely. Hopefully the revelation will come out in Toy Story 4.